Puppies and kittens bring great joy, playfulness, and love into our lives! They are also a big responsibility! To start your new buddy off on the right foot, we offer a comprehensive puppy or kitten wellness exam. The doctor will examine your new pet from nose to tail to ensure he is in good health! This visit will be an opportunity to discuss any concerns you have about your new pet, including behavioral issues, introducing him to other pets in the house, and proper nutrition. We will also discuss with you your pet's vaccine schedule and plan for parasite testing, treatment, and prevention. In general, we recommend all puppies and kittens receive vaccines every 3 to 4 weeks from about 2 months old until the age of 4 months. 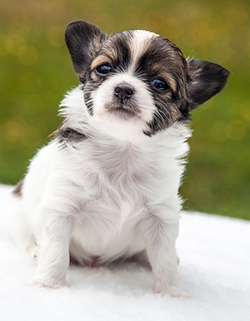 Your puppy will receive 3-4 boosters of DHPP, 2 boosters of Bordetella, and 1 Rabies vaccination. Your kitten will receive 3-4 boosters of FVRCP and FeLV, and 1 Rabies vaccination. The final boosters and Rabies vaccine are given to your pet at 16 weeks, when the immune system is fully mature. If the 3 to 4 week vaccine schedule is not strictly adhered to, additional boosters may be necessary for complete disease protection. For more information on these vaccines and what they protect your pet against, please visit our vaccine page. Socialization is very important at a young age for puppies and kittens to develop healthy and happy emotional lives and outgoing personalities. However, until your pet is completely vaccinated, it is important to limit your pet's interaction with other cats and dogs to animals you know are up to date on their vaccines. Avoid dog parks and only attend training classes that require proof of vaccination. We will also be administering an oral dewormer every 3 to 4 weeks. This will eliminate roundworms from your pet's gastrointestinal tract. Almost all puppies and kittens are born with roundworms and while they can cause GI upset, your pet may show no symptoms at all. We will need to administer multiple doses of the dewormer to ensure all worms have been eliminated from your pet's system. Roundworms are particularly dangerous if transmitted to humans so it is very important to consistently deworm and wash up thoroughly after handling your pet or his waste. We also recommend all pet parents bring a fresh stool sample with them to their puppy's or kitten's wellness exam. This will be sent out to the laboratory to check for a variety of other intestinal parasites, many of which are also transmissible to humans. In households with young children it is especially important to eliminate these common puppy and kitten parasites that can put youngsters at risk. Be sure to enforce thorough hand washing rules after your child plays with your new puppy or kitten! 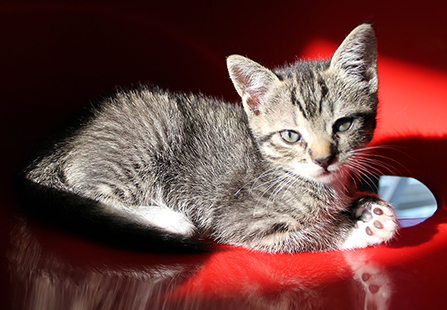 At 8 weeks we also recommend beginning a regular monthly flea control program. Fleas, in addition to being annoying to your new little one and you, can carry parasites such as tapeworms and in severe cases cause anemia in young animals. Around 5 months old is the perfect tiem to have your puppy or kitten spayed or neutered! This prevents unwanted litters but also provides many health benefits to your buddy. 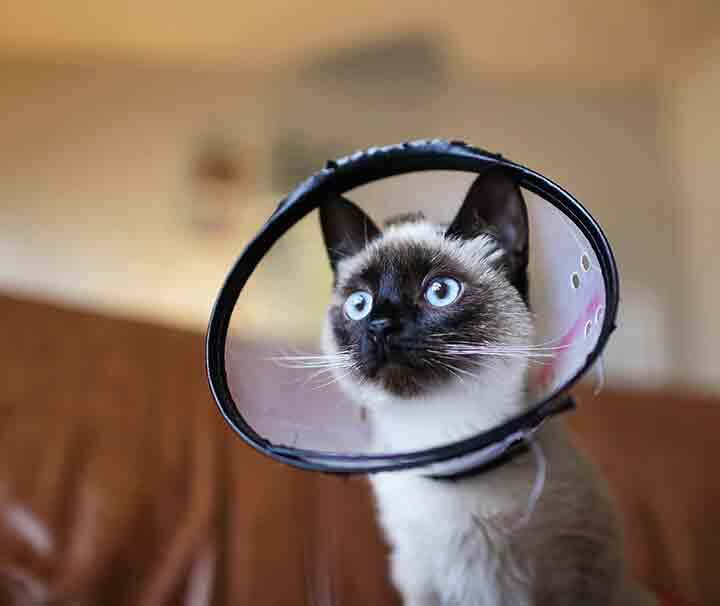 Read more about our reduced-cost spay and neuter program, the Pet Population Program, here! We can't wait to meet your new little one!